The standard school curriculum teaches that Native Americans descended from a small band of Paleo-Indian people from north-east Asia who walked across the now-vanished Beringia land-bridge between Siberia and Alaska, sometime during the final glacial episodes of the late Pleistocene period between 12,000 and 15,000 years ago. 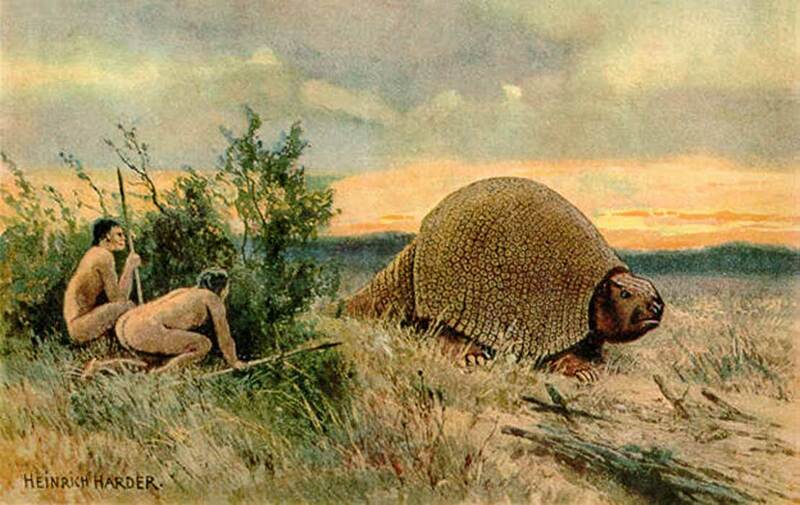 Known as ‘Clovis First’ theory, after the site discovered near Blackwater Draw in eastern New Mexico in the 1920s, where a mammoth skeleton that was laid next to a spearhead dated as being from 11,500 years ago, this became the predominant ‘first people’ hypothesis among archaeologists during the latter half of the 20th century, until the recent identification of a pre-Clovis culture. The blades of the Clovis culture had distinctively shaped stone spear points, bifacial and typically fluted on both sides, known as the Clovis point. (Public License). Sites identified as Clovis were occupied between 11,400 BC and 10,800 BC and evidence tells archaeologists that the people’s lifestyles were dominated with hunting and trapping now-extinct megafauna; mastodons, mammoths, wild horses and bison, and collecting plant foods. In 2017, scientists successfully read the genetic sequence of a baby from a Clovis burial site in Montana, named ‘Anzick-1' which dated to 10600 BC. This revealed that Clovis people were the: "direct ancestors of roughly 80% of all living Native American populations in North and South America” with the remaining 20% having come from ancestors who entered in later waves of migration. These findings also support the pre-Clovis hypothesis that modern Native Americans are descended from Paleo-Asian populations who reached the Beringia crossing between 32,000 and 18,000 years ago.